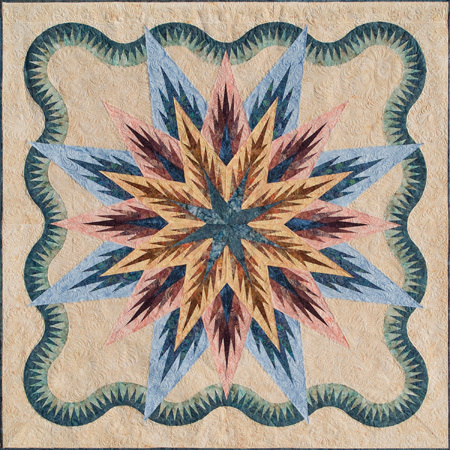 Using a collection of Bali Batiks by Hoffman California Fabircs, Judy Niemeyer has expanded her popular Feathered Star Series with the addition of a Queen Size arrangement of the Feathered Star. 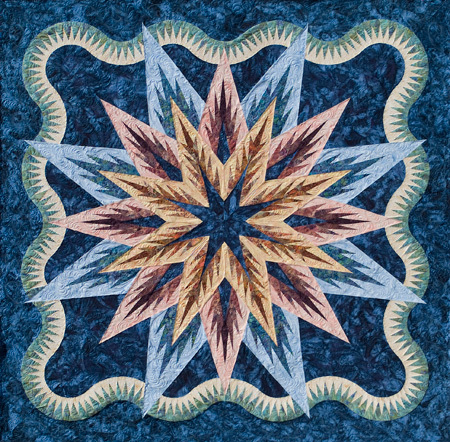 Keeping true to her commitment to modernize classic quilt patterns using the lastest foundation paper piecing techniques, the Feathered Star Queen is already a fan favorite and may be one of our most anxiously awaited publications of all time. We invite you to open this package and begin making your heirloom quilt with precision, efficiency, and accuracy, one booklet at a time. Linda Jeannine Hawes Beautiful quilt. Love the contrast between the golden brown and the green. 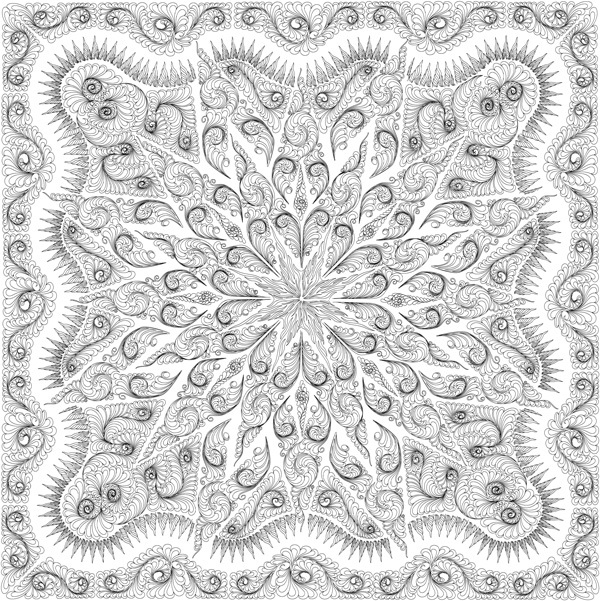 Heather Milne Johnson So intricate and lovely. Merlyn Morse love the quilting ,colors ,and piecing! Lorna Bumstead Beautiful that's the one I'm working on now, can't wait to finish it. Hope it's as perfect as yours. Congrats on the first place ribbon!! Beverly Waselues Lawellin Simply beautiful. Love it. Sandra Congdon Kollath Love it! 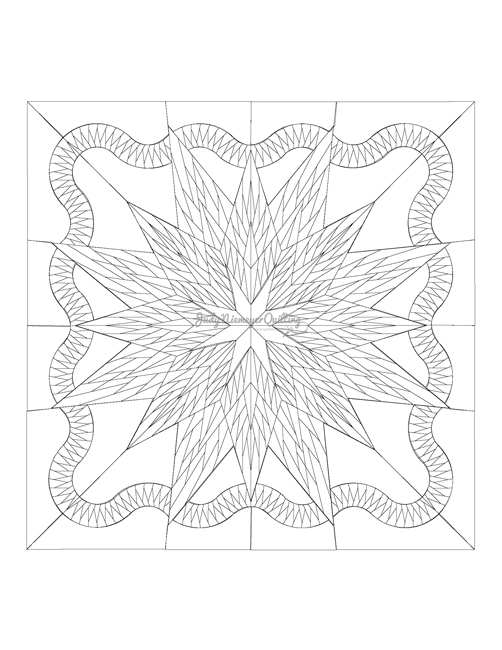 Paula Sullivan That quilt is very beautiful. Donna Maheux Hayes This is beautiful!!!!!! Lynn Brown Pretty colors together!! Cheri Bingeman Van Gorden Gorgeous! Cathy Lawrence Moore Robin Barauskas, Can you tell me which fabrics you used in this quilt? I have a customer looking for them. She loves your color choices! Awesome job! Войтова Галина Шикарно !!! БРАВО !!!! Я тоже сшила такой проект ! Jayne' Nelson This is the prettiest feathered star I have seen. Lovely. Marilee Picton Colli Wow! Does that pop!! !